Samsung Galaxy Core i8262 is another mighty featured device from Samsung with 1.2 Dual Core processor, 1 GB RAM and 8 GB on-board memory, which is extendable to 32 GB with micro-SD card. With Android 4.1.2, it provides a good touch to the users. 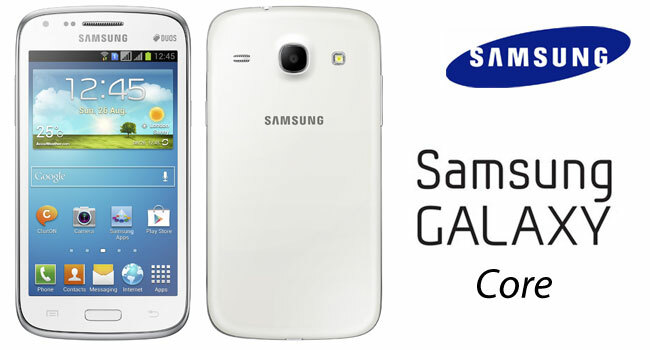 In its design specifications it has 4.3 inch display with 5 MP camera and VGA camera for video calling. It has an amazing feature of “Voice Unlocking”, in which you can simply unlock it with your voice. In addition to this, the device is a package of current versions of specifications like High-performance music and video player, Bluetooth 3.0, USB 2.0, WiFi, Proximity sensor, compass, A-GPS, Chat-ON, G talk, Google+, FM radio. Rooting can be dangerous and your phone can void your warranty. If anything goes wrong then you may end up with a “Bricked” or “Damaged” device. All the tutorials are collected from various sources and our main motive is to provide you the best. If you will need to claim the warranty in the future, neither developers nor AndroidWeblog.com will be responsible for that. So follow the tutorials on your own risk. Make sure that your battery should be charged up to 75%, otherwise you may face problems like unwanted shutdowns during rooting process. Download and install necessary drivers and softwares already which can be needed during process of rooting. Disable your Firewall and Antivirus because they can create some interruption. From the list, select an exploit to root your device as Gandalf in the rooting menu and proceed further. The rooting is now started. After some time you’ll get a success message. When it’ll finish, and then reboot the device. When booting of Galaxy core occurs, then it should be rooted. For the verification, you can confirm it through Root Checker, which is available in Google Play Store. To Unroot, follow the same procedure with an exception that select Unroot in place of Root and skip further. Your device will be automatically unrooted. In this way you can Root/Unroot your Samsung Galaxy Core i8262 in easy way.